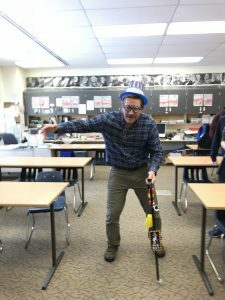 On Thursday, March 1st, 2018 Mr. Warren celebrated his 57th birthday with his son and student Nick Warren. Mr. Warren has been working at this high school since it opened in 2005 and is still going strong on his 13th year. Mr. Warren is a history teacher who teaches subjects ranging from World History to AK Studies. He has a wide variety of students from 12th to 9th. His son is a freshman and is in his 5th period Alaska Studies class. 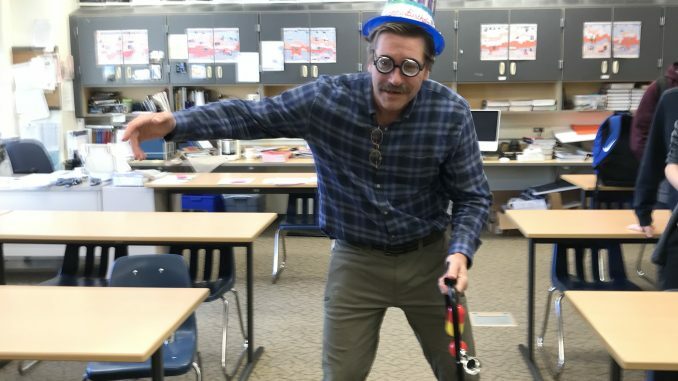 If you see Mr. Warren in the hall wish him a late happy birthday because it isn’t too late to be wished a happy birthday. So, from the HOWL to Mr. Warren have an excellent birthday.